Following its launch in November 2016 The Mentor List podcast quickly developed into a highly recognised and successful brand and channel in its own right, with over 20,000 downloads per month and growing. The Mentor List consistently ranks in the top listed business podcasts globally on iTunes. Only via podcasting can we provide insights in an intimate way, from key mentors and influencers. There has never been a better time to be an online content creator. Today, podcasting is the fastest growing digital medium and Australian’s are the fourth largest consumers globally. The Mentor List continues to pioneer the Australian podcast market by providing content, podcast and media solutions for business and individuals embracing the world of podcasting. We are spearheading this brave new world, where individuals can find their voice and sway consumers to purchase products, use services, and spend their time in particular ways. Previously, only a few individuals could influence the masses in these ways. Today, anyone has this opportunity to start a podcast and build an audience. Businesses are beginning to realise just how powerful podcasters really are the influence they have on consumer behaviour. Podcasts are soaring. Users can listen to audio content on-the-go and whenever it suits. Unlike any other medium, consumers can mix listening to audio with any day-to-day task. Australia has the fourth largest number of podcast consumers in the world. Podcast audience grew 23% between 2015 and 2016. On average, podcast audiences listen to an average of 5.5 podcasts per week. Almost 1 in 5 listeners (19%) consume 11 podcasts per week. 80% of podcast audiences on average listen to the entire chosen podcast. listening in the evening, with 44% listening on weekend afternoons. Home is where podcasting happens most, with 76% of respondents listening within the past month. 64% of podcasts are listened to on a smartphone or tablet. The majority of respondents have listened to podcasts for more than 3 years. Listening to new podcasts occurs regularly, with 1 in 3 listening to a new podcast in the past week. 1 in 2 listeners discovered new podcasts via word of mouth recommendations. Mainstream media is making a leap from blogs to podcasts, including ABC, SBS and Channel 9.
growing community for communication and advertising. Australian Women’s publisher Mamamia had 7 million podcast downloads in the past 12 months, with an estimated 20 million downloads in the next 12 months. Due to the overwhelming success and popularity of The Mentor List Podcast we have strong demand from great mentors to appear on the show. With a listenership exceeding 20,000 per month gaining exposure to a professional network that is The Mentor List listenership can be considered highly valuable for our guests. For this reason we find ourselves in the fortunate position of having a solid pre planned release schedules booked for at least six months. To respect each and every Mentor's contribution we run a first interviewed, first released policy with the exception of interviewees who upgrade to the premium interview experience. With over 100 interviews and counting we've found that some Mentor's have a preference to include video as part of their interview experience. This is certainly something we encourage as visual productions open up the interview to exposure beyond the podcast listenership and can be very powerful and endorsing content which can be repurposed for other promotional uses. WHY UPGRADE TO THE PREMIUM MENTORLIST EXPERIENCE? The answer is simple. To maximise the exposure you receive from your MENTORLIST experience. Ensuring timely release and leveraging not just the power of audio through podcasting but also the power of video via You-Tube and via social channels to promote your online profile directly. Through our extensive network, your products and or services will be heard by actual decision makers who can take action. HOW CAN I UPGRADE MY MENTORLIST EXPERIENCE? 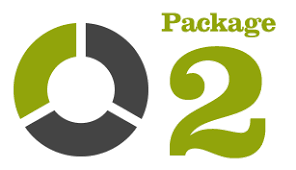 Package 2 includes Package 1. We execute a light touch approach on the day of recording and manage all content capturing requirements so you can simply focus on delivering an exceptional recording and or recording event. Edited full length Video of event hosted via The Mentor List YouTube channel. Dedicated Mail out for single episode and social accounts promoting your website.